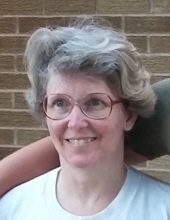 Dawn Louise Bauer, 51, of Le Roy, passed away at 8:05 a.m. Tuesday (April 9, 2019) at OSF HealthCare St. Joseph Medical Center, Bloomington. Her visitation will be from 10 a.m. to noon Saturday at Winterrowd-Hagi Funeral Home, 305 South Park Street, Streator, Illinois 61364. Her memorial service will follow at noon at Winterrowd-Hagi Funeral Home. Memorial donations may be made to Matthew Bauer for his continued college education or Le Roy Emergency Ambulance Service. Calvert-Belangee-Bruce Funeral Home, Le Roy, is in charge of arrangements. Dawn was born April 21, 1967, in Spring Valley, a daughter of Donald and Blanche Story Dominic. Her father preceded her in death. She is survived by her son, Matthew Bauer, Le Roy; mother, Blanche (James) Naughton, Grand Ridge; brother, Kevin Naughton, Grand Ridge; sister, Debra (Tony) Cargola, Hinckley; and stepsister, Denise (Richard) Ribordy, Odell. Dawn was a graduate of Ottawa High School, Illinois Valley Community College, and Illinois State University. She was a high school math teacher in Litchfield and Normal. She loved to scrapbook and travel. Dawn was also an avid sport shooter and member of the Foosland Gun Club. She was very outgoing and social, never meeting a stranger. Dawn was a loving mother, daughter, sister, stepsister, and devoted friend who will be deeply missed. "Email Address" would like to share the life celebration of Dawn Louise Bauer. Click on the "link" to go to share a favorite memory or leave a condolence message for the family.